Dr. Sonja Legtmann has more than 15 years of professional experience in private equity / venture capital and corporate finance advisory. Her current main focus lies on the advisory of M&A transactions – in particular in the ICT industry –, growth financings as well as structuring management/employee participation schemes. Before setting up SAXO Equity GmbH Dr. Sonja Legtmann worked for – most recently as partner of – an international venture capital company. With a team of investment managers Dr. Sonja Legtmann was responsible for more than 15 equity investments with an investment volume of more than 35 million €. 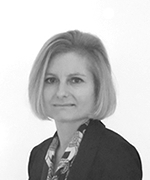 Dr. Sonja Legtmann initiated fund concepts and acted as CEO of a quoted subsidiary with its own investment portfolio. She was a member of various supervisory boards of portfolio and group companies. Before that Dr. Sonja Legtmann worked in corporate finance and investment banking and advised on numerous financing, M&A, IPO and privatisation projects in Germany, in London, where she worked for S.G. Warburg & Co. Ltd. as well as for a private bank in Vienna focussing on international transactions in Austria, Italy and Eastern Europe. Dr. Sonja Legtmann holds a degree and doctorate in business administration and economics from Wirtschaftsuniversität Wien in Vienna. 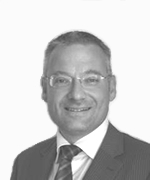 Peter Harter has been working in private equity / venture capital and corporate finance advisory for more than 15 years. His current main focus lies on the advisory of growth financing and M&A. Before setting up SAXO Equity GmbH Peter Harter worked for – most recently as partner of – an international venture capital company with his team of investment managers. He was responsible for more than 10 investments in start up and growth companies in the information technology, electronics and communications industries with a total investment volume of approximately 35 million €. Previously he initiated and advised on numerous M&A transactions, IPOs and growth financings with a transaction volume of more than 150 million €. Before working in private equity and corporate finance Peter Harter completed a training programme at Dresdner Bank AG and studied business administration in Nürnberg in connection with a training programme at Siemens AG. He worked in the internal audit division of Mannesmann AG as well as for Price Waterhouse in the audit and advisory team for mid-sized and international industrial and financial services companies. 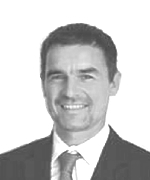 Jochen Sautter has more than 15 years of professional experience in corporate finance and project development in the cleantech and technology sector. He was a co-founder and director of Das Grüne Emissionshaus (DGE), a leading German renewable energy project developer and financier. DGE structured and placed 13 funds, which in total invested over €400m in wind and solar energy as well as project development. DGE won several best of class awards for its financial products from independent analysts. Jochen was responsible for product development, corporate finance, marketing, international project development and personnel. After DGE Jochen Sautter acted as advisor to CleanTech/technology enterprises for corporate finance and M&A transactions as well as financing and development of renewable energy projects. Prior to his CleanTech activities he spent 6 years as project developer in the software industry. He studied physics and philosophy in Tübingen and Berlin.